The china cabinet is a family piece. 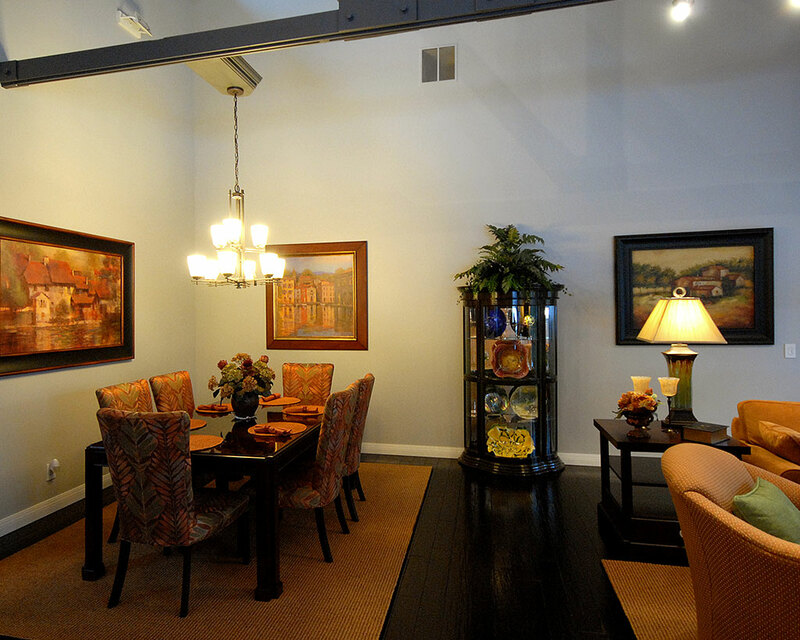 It was used to separate the family room from the dining area. The clients existing chairs were recovered in an inspiration fabric, which produced the rooms color theme.